The role of Financial Advisor according to Wikipedia typically provides clients with financial products and services, may create financial plans for clients, or a combination and some insights of savings. The gist behind is, "You can help people plan for their future". As a Sun Life Advisor, you'll be able to do all of these plus "You Enrich Your Present". 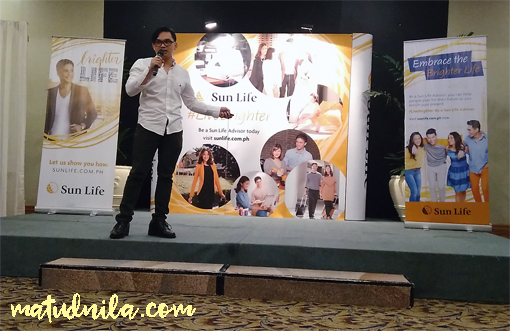 I attended Sun Life's Live Brighter Forum here in Cebu and I'll share it to you in few passages about How to Live Brighter. The importance of Financial Planning has been rekindle and always seems to be the most listened topic but only few masters it. Difficult but can be learned and with the help of correct education and right people to guide you, you will get and A+ in this subject. The speaker is able to convey a message that with a correct approach to take advantage of your money's worth today is the key for your future goals. And to help walking the talk on this message, Financial Advisers will realize this goal. 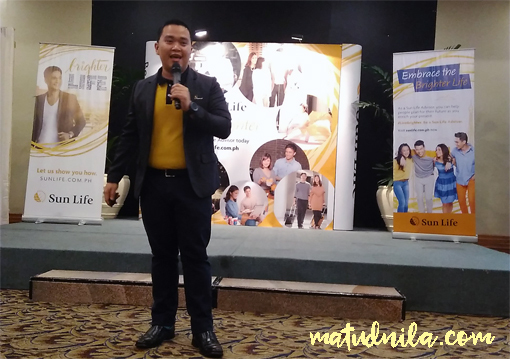 Model Sun Life Financial Adviser, Churchill Bejemino proves that being an individual getting a little extra share of challenges of life is a hindrance to being a successful Financial Advisor. His Family is his inspiration to overcome these challenges and his favourite part is to impart knowledge to everyone he meets not expecting any return, he has developed his routine to educate and his happy about it. Plus, the most valuable feeling he admires most is when he heads home where he sees here parents and siblings makes him stronger amidst regular day at work. 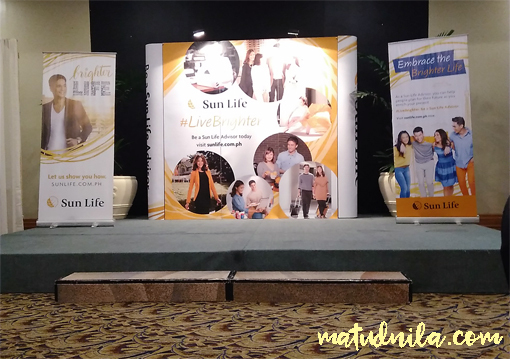 My personal key take away from Sun Life's Live Brighter Forum was being a Financial Advisor equates to getting in the business of helping people. And in the process, you've got to achieve a work-life balance since you manage your schedule. Fulfilling big dreams and Enjoy the journey of your chosen career path and professional growth. 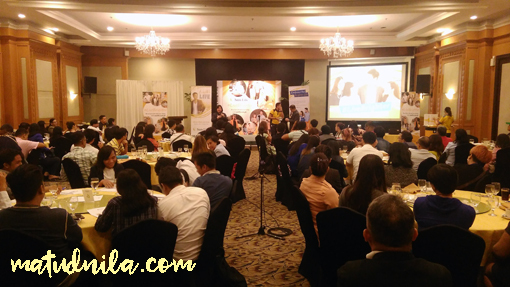 0 comments: on "Financial Advisors and The Grand Sun Life Live Brighter Forum Cebu"